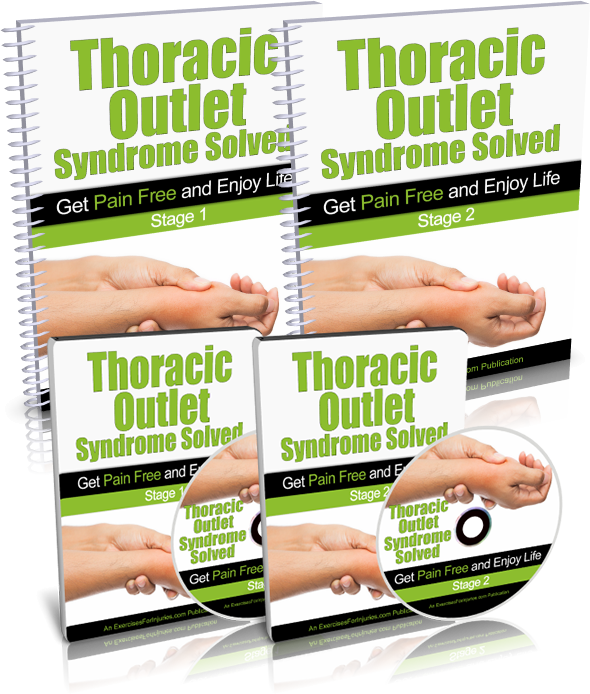 Discover How to Overcome Painful Thoracic Outlet Syndrome… WITHOUT Dangerous Medications, Risky Surgery or Harmful Side Effects! World Renowned Pain Specialist Develops The Most Effective, Safest And FASTEST System For Healing Thoracic Outlet Syndrome In Only Minutes Each Day! 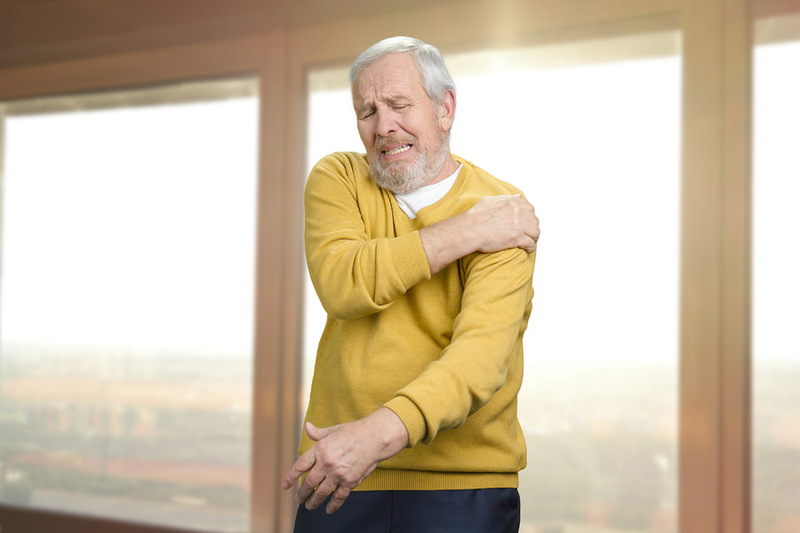 Are you experiencing persistent pain in your shoulder, hands, or neck? Do you experience numbness and tingling in your fingers? How much of your hard-earned money and precious time have you wasted on countless doctor visits, costly physical therapists, expensive massages, and alternative treatments such as acupuncture, yet absolutely nothing works to relieve your agonizing symptoms? I’m about to share some shocking news about this common “mystery condition” that causes chronic neck, hand and shoulder pain, yet is misdiagnosed by most health professionals. WARNING: You May Be Among the Millions Suffering From Thoracic Outlet Syndrome… AND NOT KNOW IT! Your thoracic outlet is the narrow space between the first rib and collarbone. Blood vessels, muscles and nerves that extend from the back to the arms pass through the thoracic outlet. When the space in the thoracic outlet becomes too narrow, these areas can become compressed. The increased pressure on the blood vessels and nerves can lead to intense pain in your shoulders, neck, and arms. In some cases, you may feel tingling and numbness in your fingers. From Developing Thoracic Outlet Syndrome! health conditions and fitness levels! Nobody Understands the Daily Pain and Misery You’re Going Through! Shockingly, many doctors, health professionals and physical therapists are completely clueless about proper diagnosis of Thoracic Outlet Syndrome. And since they don’t understand the REAL underlying cause, they don’t know how to heal it. As a result, the vast majority of people are misdiagnosed, and receive ineffective treatments, which fail to offer sustainable relief. While pain drugs may temporarily ease your pain, they come with the risk of addiction and other unpleasant side effects. So harmful medications are definitely not the solution. Thoracic Outlet Syndrome Can Make Your Life a Living Hell! If you’re struggling with Thoracic Outlet Syndrome… you know it can wreak havoc in your career, relationships and stop you from participating in your favorite sports and activities. It typically leads to impaired function, persistent pain and emotional distress. The daily pain can be so excruciating, it may even force you to give up the work you love and go on disability. So, it’s understandable if you’re losing hope of ever finding relief. To date, my breakthrough program has brought permanent relief to thousands of people around the world who now live happy and pain-free lives. I promise I’ll share all the wonderful details with you in a minute. First, I’d like to introduce myself, and explain how I discovered my groundbreaking program (there’s literally nothing else like it on the market). My acclaimed pain-relieving systems have been prominently featured in leading magazines and websites, including Yahoo! News, Men’s Health magazine, Livestrong.com, Canada.com, Iron Man, Men’s Journal, the San Francisco Chronicle, and many more. I’ve given around 350 live presentations to more than 8,400 health professionals in the US and Canada, and you may have read about some of my pain relief exercises in Men’s Health magazine, Livestrong.com, Men’s Journal, LivePainFree.com, and more. 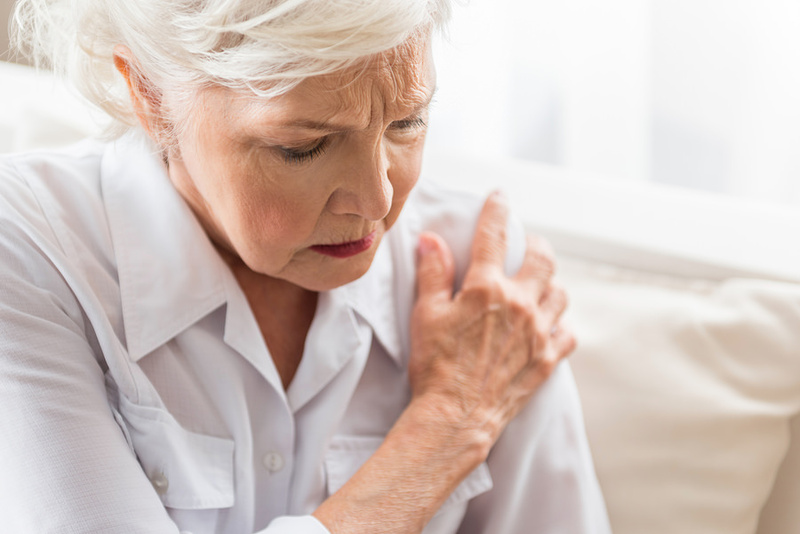 While working one-on-one with hundreds of clients, I wondered why so many of them who were suffering from Thoracic Outlet Syndrome were unable to find relief. However, I love a challenge, and I was determined to get to the bottom of this. I shut myself in my office, hung a “Gone Fishing” sign on the door, and spent a few intense weeks researching the most current discoveries in exercise science, along with leading medical studies that prove how specific movements are able to heal Thoracic Outlet Syndrome. My “Eureka” moment occurred when I discovered the link between the compressed Thoracic muscle and nerves, and the painful symptoms my clients were experiencing. Next, I developed a breakthrough series of precise and simple exercises that completely released those compressed nerves and reversed Thoracic Outlet Syndrome… quickly, effectively and safely. I put them all into one powerful and affordable system, “Thoracic Outlet Syndrome Solved” to get these simple, yet highly effective movements into the hands of as many people as possible! Truth? I’ve developed hundreds of highly successful pain-relieving programs, but this is one that I’m most proud of! After Thousands Of Hours Of Extensive Scientific Research. What’s truly groundbreaking about my program is it quickly relieves Thoracic Outlet Syndrome pain (even if you’ve been suffering with it for years), and it also heals the underlying cause, so it never returns. Before I released it on the market, I spent months testing the exercises on hundreds of my clients of all ages and health conditions, and they quickly experienced rapid relief from their debilitating pain and numbness. Even more incredible… many of them had been suffering for years with Thoracic Outlet Syndrome, and absolutely nothing they’d previously tried had worked! It proves that it’s never too late to reverse Thoracic Outlet Syndrome and start feeling great... no matter how old or young you are, the state of your health or even if you’ve never exercised a day before in your life. So, how much do you think such a remarkable system costs that not only ends all pain, but also allows you to stop taking medications and avoid surgery so you can reclaim your active life? Hundreds of dollars? Even thousands? For a limited-time only, I’ve decided to lower the cost of the complete “Thoracic Outlet Syndrome Solved” program to the insanely low price of only $37! 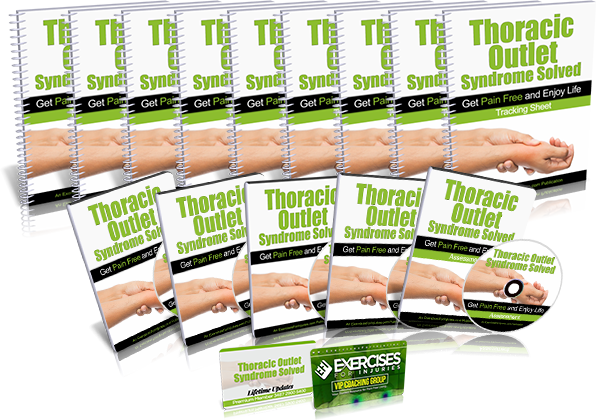 Yes, you read that right… you’ll receive the entire jam-packed Thoracic Outlet Syndrome Solved system for just 37 bucks. And that’s an unheard of $20 off it’s normal price of $57. You’ll receive the exact same exercises that my private clients pay me hundreds of dollars per session to learn. In fact, the cost for “Thoracic Outlet Syndrome Solved” is so laughingly low, that friends and family are seriously worried about my mental health. I’ve been told by publishing “insiders” that if I included my revolutionary discoveries in a book, it would quickly become a best-seller and potentially earn me millions of dollars. I didn’t become one of the world’s most accomplished fitness trainers and pain-relieving specialists for monetary motives. What brings me the greatest personal fulfillment is helping all people easily relieve their various pain issues, so they can reclaim the happy and active lives they deserve. My mission is to get my system into the hands of every single person who desperately needs to heal from debilitating Thoracic Outlet Syndrome, no matter what their income level is. All-Natural Method For Healing Thoracic Outlet Syndrome On The Market! I wish you could see my inbox! Each week I receive literally hundreds of emails from grateful people who no longer suffer from brutally painful Thoracic Outlet Syndrome, thanks to my system. To date, thousands of people throughout the world found quick relief from brutal Thoracic Outlet Syndrome in just a few minutes each day. My program works for ALL ages and fitness levels… and is super simple to follow even if you’ve never exercised one minute before in your life. 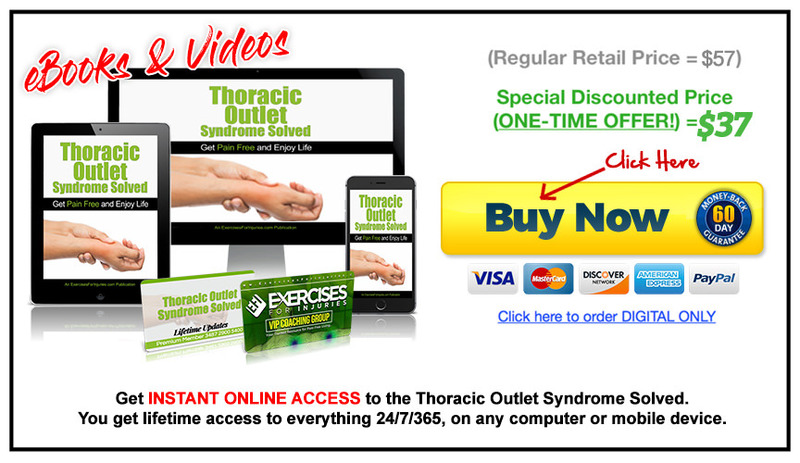 Thoracic Outlet Syndrome Solved is a video exercise program that you can easily follow in the privacy of your home or office at your convenience. You’ll discover not only how to do the exercises correctly, but how to avoid the common mistakes people make while following them. As a result, you’ll heal your Thoracic Outlet Syndrome even faster without experiencing setbacks. You’ll learn which stretches and other exercises can make your Thoracic Outlet Syndrome much WORSE. I'll share with you the most important movements for overcoming your Thoracic Outlet Syndrome. It’ll be like having me as your personal coach every step of the way, minus the high costs of my private sessions. You can watch the videos at any time to receive my unwavering support and motivation to keep you on track until you're 100% relieved! You receive the same exclusive exercises for permanently healing Thoracic Outlet Syndrome that my private clients pay hundreds of dollars per session to learn. Before you begin “Thoracic Outlet Syndrome Solved,” it’s important to assess your current condition to help prevent injury while you are following the movements. You’ll receive a detailed video and manual that explains how to easily do your own self-assessment. You’ll also receive a convenient Fill-In Sheet to write all your answers. To make following the program super-simple, I’ve created this Condition Summary Sheet for your convenience. It’s a complete overview and summarizes the most important points in the program, which will ultimately make the process of healing your Thoracic Outlet Syndrome much smoother. You'll learn exactly what caused your Thoracic Outlet Syndrome and the simple movements that will finally relieve it. I provide you with the latest scientific and medical research on healing Thoracic Outlet Syndrome, and how I incorporated all of this into my revolutionary program. I’ll explain the roadmap we’ll be following, while ensuring you’re protected from injuring yourself in the process. You’ll receive the same personal training, coaching sessions and invaluable support that I provide my private clients in their one-on-one sessions. I designed “Thoracic Outlet Syndrome Solved” into 2 easy-to-follow stages, so people of all ages and physical conditions can safely complete it without risk of injury. Each stage allows you to achieve the fastest results possible, and you can progress at the rate that feels comfortable to you. Show you step-by-step how to properly perform each exercise to accelerate your healing from Thoracic Outlet Syndrome. FOLLOW-ALONG VIDEOS: You’ll receive 2 engaging follow-along videos - 1 for each of the 2 stages. You’ll perform each of the exercises along with my highly trained exercise assistant, while I count out the reps and time, and provide motivation to keep you on track. MANUALS: You’ll receive 2 jam-packed manuals - one for each of the 2 stages. In these convenient PDF guides, you’ll have everything you need to finally put an end to your agonizing Thoracic Outlet Syndrome, including…. The 5 components you must do to successfully heal your Thoracic Outlet Syndrome. You’ll love how this Quick Reference Guide provides an instant and more convenient way to access the exercises. It saves you the time-consuming trouble of needing to fast-forward through the videos to find specific movements, or search through the manuals. Current research shows that the people who measure their progress heal much faster than those who don’t. That’s why you’ll also receive this Progress Tracking Sheet, which helps you measure your progress and stay motivated every step of the way. Here’s even more great news… you won’t have to wait for the postman to start healing your Thoracic Outlet Syndrome! And ALL Its Life-Changing Benefits! You’ll save massive amounts of money. Say “goodbye forever” to costly doctor appointments, expensive physical therapy sessions, and overpriced alternative treatments that don’t do a darn thing except drain your bank account. Happily, now you can permanently and easily heal Thoracic Outlet Syndrome at a super cheap one-time cost! 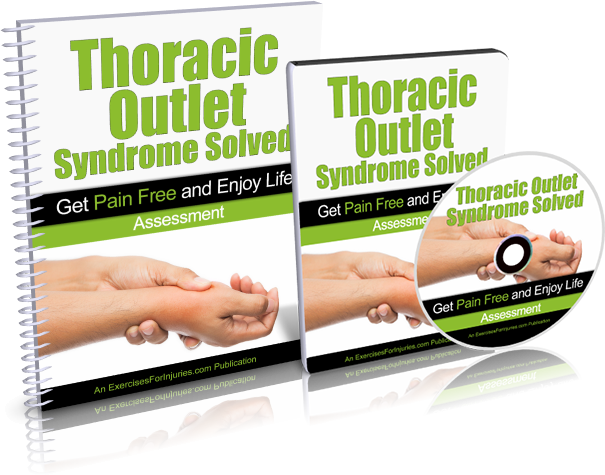 CLICK HERE NOW to order the Thoracic Outlet Syndrome Solved program for just $37! Our “No Questions Asked” Full Money-Back Guarantee! I’m so confident that “Thoracic Outlet Syndrome Solved” will work for you that I’m assuming ALL the financial risk. If you don’t see results within 60 days, or you’re not delighted with the program for one reason or another, just email my team at support@ExercisesForInjuries.com or call us at (888) 291-2430 and we’ll cheerfully refund your full purchase price, no questions asked! Remember… it’s important you order in the next 48 hours to take advantage of this huge discount! 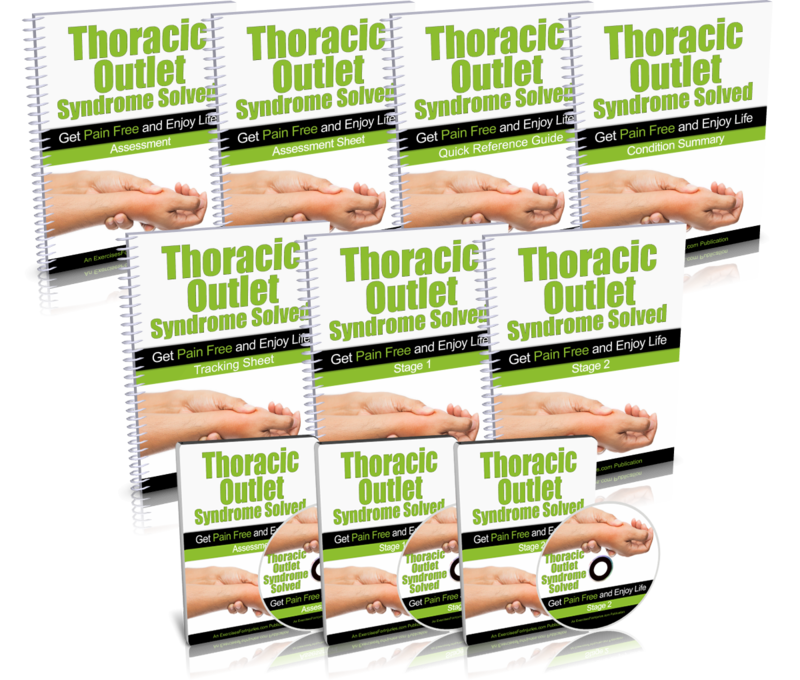 Click here to order “Thoracic Outlet Syndrome Solved” for only $37! PS: This bears repeating… if you’re not completely satisfied within 60 days, I’ll happily refund your full purchase price, no questions asked. I’m assuming all the financial risk. PPS: Keep in mind that I rarely offer such huge discounts on my popular programs, and I don’t want you to miss out on this great life-changing deal. That’s why this is a limited-time discount, and I encourage you to place your order TODAY to take advantage of it.